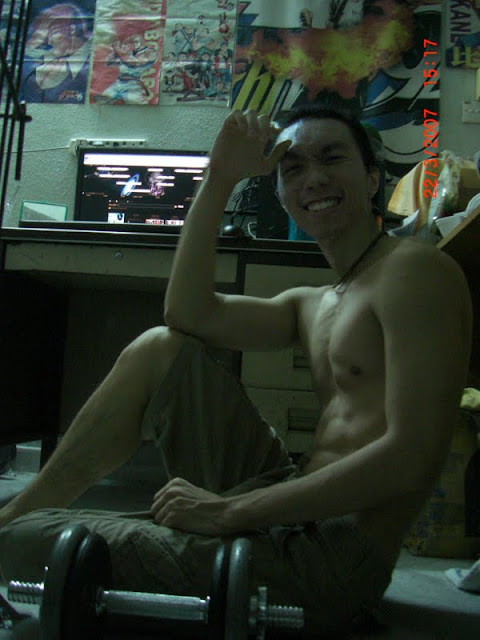 Above picture shows my body improvement on 30th Dec 2009. 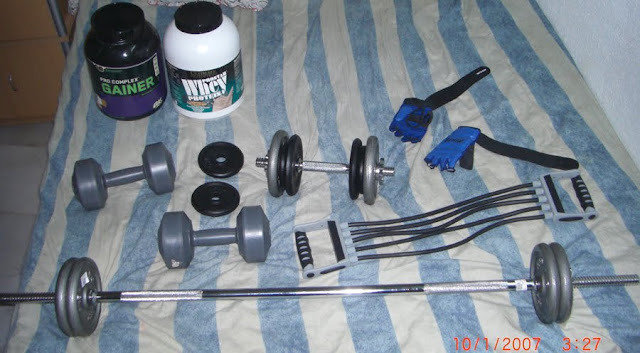 1 - Start with light weight dumbbell. 2 - Increase the range. 3 - Increase the speed. 4 - Increase the weight of dumbbell. Do lower curls for 7 reps. 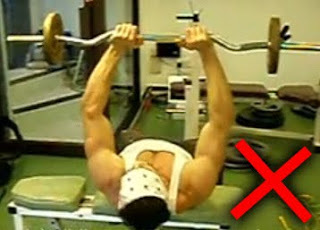 Without a stop, continue do upper curls for 7 reps. Without a stop, continue do full curls. So totally I need to do 21 reps then only I can stop. Rest for 70 second. Then I do triceps for 25 reps. Then rest 70 second. Then I do sit dumbbell curls (11kg for 20 reps). Then I rest 70 second. 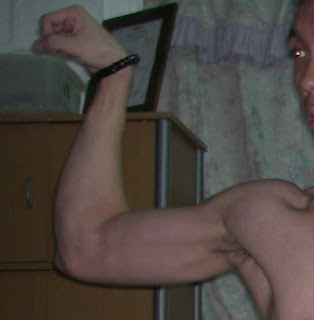 Then I do triceps (5kg for 35 reps). Then I rest 70 second. 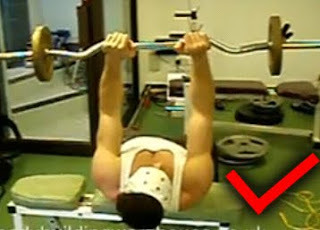 Then I do palm upside down curls for 20 reps. Then I rest 70 second. 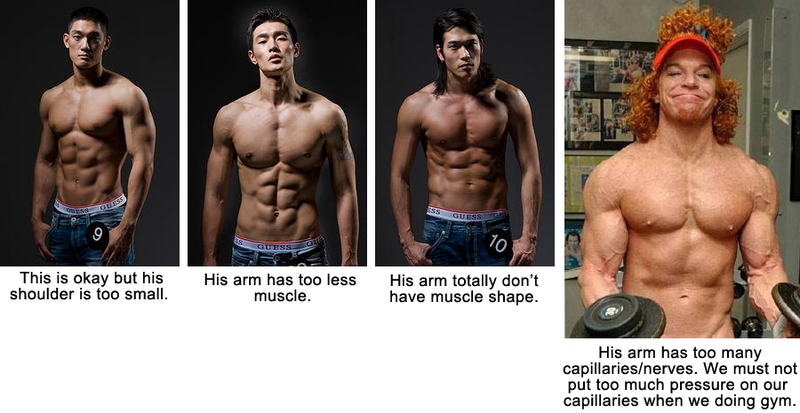 Then I do triceps for 35 reps. Then I rest 70 second. 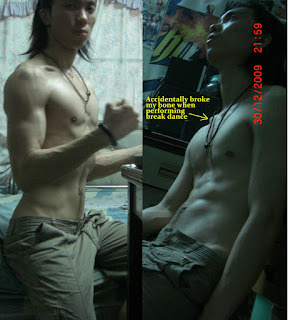 Then I do triceps push up for 20 reps. Then I rest 70 second. Then I repeat the wholes things for 5 sets. It will be finish within 3 hours. Then I drink Protein Powder immediately. Do each of them for 30 second, rest 60 second in between each set. Repeat the whole set for 2 times. 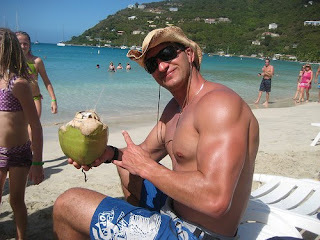 http://www.intense-workout.com/workout_routines.html - routine to build muscles on your arms, chest, abs, legs.